For the better part of this year I had been stagnant in my craft. I can give the excuse of work, health (high blood pressure and headaches but I’m happy to report that things have progressed for the better in this area as of late because of a healthier diet, exercise and medication) and an unhealthy obsession with Netflix, but if I’m going to be truthful it was my lack of devotion that hindered my growth. For a while I thought I needed outside motivation, like the vigilant, watchful eye of a critique partner resting on my shoulder. Their gaze constantly on the proverbial clock as I frantically type words that thread together like zigzag of a kaleidoscope. Now, that’s pressure. And, for the record, I belong to a fabulous critique group that is caring, intelligent, and honest. I value being a part of this group and my entire time with them has been productive, creative and beneficial. It’s been a long time since I’ve written a post and I miss the connection. I’ve come to the realization that I work better when surrounded by and immersed in my writing community. My point to all this is, the problem wasn’t the group or the organization; the problem was that- although I belonged to these communities, I wasn’t really there. I was not present. Because I was going over a rough patch on my creative path, I disengaged instead of communicating my concerns to my support. I didn’t utilize all the tools and resources the organization provided. Looking back, those resources were exactly what I needed to thrive. If you are a member of a writing organization or in a writing group or an online community-be involved, be engaged, be present. We can sometimes lose our way but just reaching out to someone who relates can make all the difference. And, I have been so lucky to have met the most talented, supportive, creative writers who have watched me grow in this craft and genuinely want to see me succeed. I want to thank RWA, the BNRestonCritique Group, Girls of Trouble and the writingchallenge.org-whose monthly twitter writing challenge started by Kristy Acevedo, has been invaluable. This is just a quick thank you post to all who have helped me in this world of writing and continue to do so. I am here for you just as you’ve been here for me. And this is also a little reminder that writing groups, critique partners can be vital to a writer’s success. Stay tuned for my upcoming post on sub-genres. Once again, it’s November and that means Thanksgiving, Black Friday and NaNoWriMo. All of which are demanding and rewarding at the same time. The pressure can be overwhelming but as they say pressure makes diamonds. In my household, planning Thanksgiving dinner alone is a feat and one that is prepared for weeks in advance with guest and grocery list making. Not to mention the great debate of which pies to make, pumpkin or sweet potato? Chocolate cake or cupcakes? Ice-cream or whipped cream? Only to end up making them all. Yum. And as far as Black Friday goes, forget it, between long lines and horrible parking-I’ll just click away on Cyber Monday. Don’t panic! Which is so much easier said than done. I’m a pantser by nature. I write from the seat of my pants. I get to my computer and I just go, go, go. And what I’m finding, even lately, is that outlining-just a little bit-helps me to organize those sprinting thoughts. In prep for this year’s NaNoWriMo I made it my business to create a loose outline of chapters to give me that “ahead of the game” mentality. Especially for a pantser about to write almost triple the words I’m used to writing every day in order to win, it has been beneficial. And creating an outline does not diminish the spontaneity of the work as some would believe, it’s just a way to color inside the lines, neatly. When you sign up for NaNoWriMo-get the buddy badge by reaching out to other writers. I can’t stress enough about camaraderie and encouragement from folks who know what you’re going through and want to see you succeed as well. Participate in write-ins. 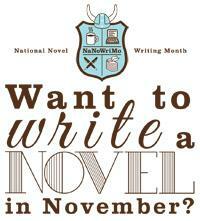 Put in your Region on the NaNoWriMo website and join in local write-ins at libraries, coffee shops and book stores. Having a place to go each week with like-minded folks gives you the extra nudge to finish. It’s something to look forward to, especially if you’re like me with a day-time job. You’ll meet different people at different stages of their work and perhaps even get a critique partner out the deal. These may be tips that have already been presented to you or have crossed your mind but whether you’re a seasoned NaNoWriMo member or a newbie, let’s make this the best month ever. As always, stay focused, stay encouraged and Rock On! My NaNoWriMo profile is under Marlena M.- send me a shout out. Also, if you haven’t already, please join us at #Novwritingchallenge on twitter. 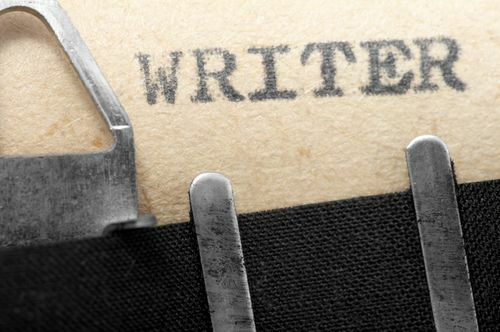 For more information about the twitter writing challenge visit the organization site at writingchallenge.org. You can follow me @NLakeWriter. So, my good friend, Natalie and I, were discussing the process of re-writes/re-drafts and how wonderful and horrible it all is. I mean, really, it has to be done because-let’s face it- that first draft was just the foundation work anyway. Now, don’t get me wrong, there are those of us who have what I call “the gift,” in which magical words align beautifully and succinctly on the page one at a time until the perfect manuscript is written in one fell swoop-or one attempt-and require minimal edits. I applaud you, but- that’s not me…yet. As I mentioned above, I use the Chicago Manual of Style and frequently reference Stephen King’s On Writing. The “necessarily” part of my editing statement goes to the fact that the re-draft, and of course the first draft, should be as technically sound as possible. I study the manuals because the more sound you write technically and grammatically, the easier it will be to edit later. Consider all the worry you have with plot, character arc and world building; writing solid takes some of the editorial edge off. My third point and probably the most important in my process thus far is that the story I thought I was writing, guess what? Er, it’s changed a bit. And that can be good…or it could be bad. But usually it’s great! Between the read, the red-pen marked up pages and the poor death of my darlings, I’d come to realize that, in one of my novels, chapter five was really…drumroll…chapter one. Yes, a whole four chapters down re-draft road was a detour leading me, miraculously, back to the beginning. This created a stronger beginning and set the pace for the rest of the story. Also, I found that, in both novels, only having one p.o.v. was not going to cut it. So, I changed it to 3rd person, alternating p.o.v. between the heroine and hero. It’s a little harder to achieve because I have to be careful not to swirl p.o.v’s, but the process has been rewarding. As Natalie and I reigned in our ideas and volleyed our epiphanies to one another we realized that, yeah, re-drafting/re-writing is a laborious rite of passage for a writer but when it finally comes together and you have a finished, polished novel from a spark of your imagination: Euphoria! I’m curious: What’s your re-draft journey like? How many re-drafts do you write? And are there any quirks to your process? Also, if you haven’t already, please join the twitter monthly writing challenge. Right now we are at #aprwritingchallenge. And, if you’d like to start fresh next month, join us at #maywritingchallenge beginning May 1st. Hope to see you there. As always, Happy Writing! With 2015 less than a week away let’s face it, we’ve all been thinking about the much dreaded, revered, loathed, inspiring…New Year’s Resolution. For us writers that usually consists of a colossal bet we make with ourselves to finish a manuscript in some ridiculous timeframe no sane person would ever or could ever commit to. But we charge ahead-facing the new year with bright-eyed ambition, full of renewed spirit and an honest will to get the manuscript done. It’s commendable, brave even. But let’s be real, by January 28th it’s down to pulled out hair and a first chapter that keeps getting re-written. Alas, my comrades, my fellow word elves, I have a resolution to the resolution. 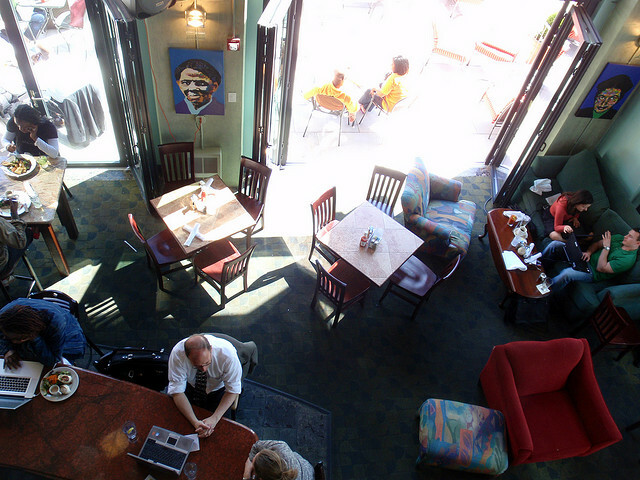 Why not resolve to take smaller, sure steps toward your writing in the New Year. With the payoff being a completed novel and a writing habit cemented in discipline and achievement. In July of 2014 I joined a monthly writing twitter challenge, started by the amazing Kristy Acevedo (@kristyace). The challenge: write 500 words a day or edit your work in progress for at least 1 hour. That’s it! Simple, goal-attaining challenge that pushes your work forward every day. It’s not the big bet that we lose to ourselves, then get disappointed and fallback on our writing promises. Within the six months-each month headed by a different challenge leader-I have seen numerous people achieve their writing goals-some completing entire novels. It’s amazing! Another writerly resolution that I have found affective is joining an organization geared toward the genre you write in. I joined Romance Writers of America two years ago and have attended two national conferences where I’ve met new friends and learned so much about the craft and the business. It’s worth it and you might find that your work may benefit tremendously for it. If bigger organizations aren’t your thing, perhaps joining a local writing critique group might rev up the creative juices. A few years ago I joined a writing critique group at my local bookstore. Each of us write in different genres but sometimes having that fresh eye is what we need to catch things we wouldn’t necessarily notice ourselves. None of this is new information to a lot of my fellow writers, I’m sure, but sometimes we have to remind ourselves that there are ways to keep us inspired well beyond January and that it doesn’t take much to stay in the game, stay focused and stay consistent. 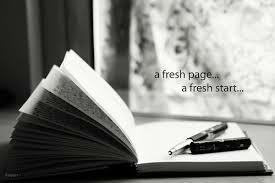 Good luck my friends, Happy New Year and as always, Happy Writing! For more information about the monthly twitter group, please visit writingchallenge.org or visit us on twitter #JanWritingChallenge. It’s been a long while since I wrote a blog post. With life’s little distractions and the demands of a full-time day job, for a time there I had to do a lot of juggling. But things have settled down and I have recently completed the first draft of a book I’m so in love with that I’m bursting with delight! In the past Book Java blogs I have discussed such topics as, favorite books and books that have inspired you as a writer. Today I want to discuss the book we are writing; the book that readers in the future will read and hopefully find something that evokes conversation, changes minds, peace, understanding or simply a short vacation from life. In the coming weeks I’ll be inundated with edits, edits and even more edits. After all, the book has to make sense. (Smile) I write romance/women’s fiction with gritty, flawed hero/heroines that find the meaning of life/love through the journey of falling in love. What I aspire to create in my writing is that we are worthy of love and everything that that stands for. No matter how flawed, gritty, complex or conditioned we are, we are worthy of a connection that enhances our spirituality and emotional balance. And of course all while enjoying the fun, dramatic ride of a great story. 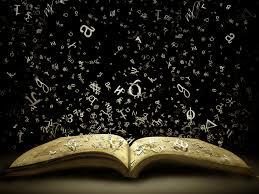 So, I ask, what kind of story are you trying to convey to the world? What a wonderful week I had in San Antonio, TX. It’s great to be home again charged and re-charged to write and create. This was my second conference and judging from the experience, it gets better and better every year. Next year the conference will be held in Times Square, New York City. Wow! Just saying New York City evokes so much creativity and inspiration. Inspiration was the word that emanated throughout the conference. From workshops, panel discussions, editor/agent appointments or just chilling out with the girls (Here Comes Trouble! ), the conference was full of industry leaders and authors both published and unpublished giving advice, teaching lessons, and sharing their experiences in the writing/publishing field. Romance Fiction is one those genres that people generally love or hate for various reasons. I write romance primarily because I’m inspired by love. Everybody wants to be loved, whether they admit it or not. Who really doesn’t want a happy ending? And don’t get me wrong, I understand why people may turn their noses up at romance, the cliché’s: the sometimes unrealistic, unattainable hero swooping in to save the damsel in distress. What I do want readers to understand is that it’s not just the boy meets girl and then happily ever after, it’s the journey. The road that the hero and heroine take to get to the end. The promise of what could be. And that is something everyone can relate to and aspire to. A Mystery novel gets solved, a Horror novel is scary, and a Romance novel has a happy ending. So, when people say that romance novels have the same ending, well, it does and so do other books. (smile) It’s an expectation, it’s a requirement. The conference inspired me to keep going, to be the best writer I can be, to live in my best writer space and if romance is my thing, then Rock On!!!! And to my girls, Amanda, Natalie, Rebecca, and Mai-Ling, you are inspirational to me because of your fire, your commitment to the craft, the different aspects of writing you bring to the table, your wit, your humor, your bad-assness (God, is that a word-Ha!) and for being the best group of girls a Vice President of Shenanigans (don’t ask) could ever ask for! To RWA, thank you for being the best organization a writer could ever be a part of. You are all invaluable. To my fellow writers and readers: Be inspired, be encouraged, and find the good in everything. Happy Writing! This week, since I’m prepping for my travel to San Antonio, TX for the 2014 Romance Writers of America Conference, Book Java will simply state what I’ve been reading this past week. “Seven Years to Sin,” written by Sylvia Day. A young man forced to sell his body for money. A young lady who watched him do it. Two tormented souls brought together years later to assuage the hunger of a desperate, irresistible attraction. “The House of Reckoning,” written by John Saul. “The Fifth Favor,” written by Shelby Reed. The Fifth Favor By Shelby Reed Imagine a world where a woman’s every pleasure, every wish and wildest fantasy is granted by the man of her dreams. Such is Avalon, an elite, private club in Washington, D.C., that caters solely to female desires. There, magazine reporter Billie Cort meets Adrian, the club’s most infamous companion, with the intent to interview him for an article on high-dollar male escorts. Billie can’t foresee, however, how quickly Adrian will strip her defenses and expose her true desires and in the process, fulfill his own yearning for love. Let’s start the discussion. What books are you reading now? Stayed tuned guys. I’ll be updating from the 2014 Romance Writers of America Conference. Have a great week and Happy Writing!